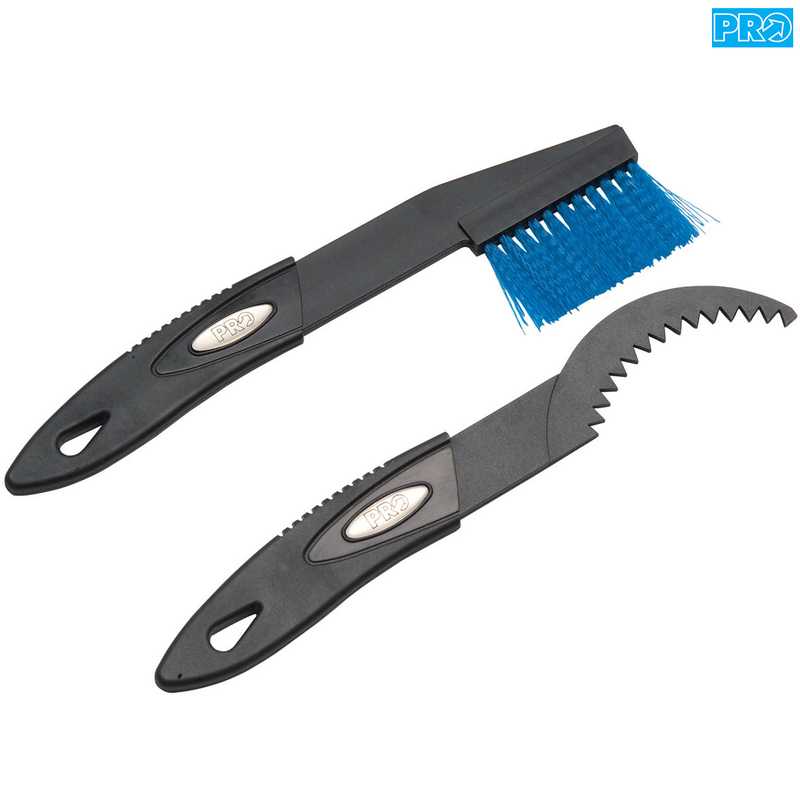 The ideal brush and scraper set specially designed for cleaning the cassette and chainrings. Strong and durable nylon bristles are designed to get in between the cassette sprockets and chainrings to help remove stubborn dirt. Scrapper can be used to remove trail debris caught between the cassette sprockets.